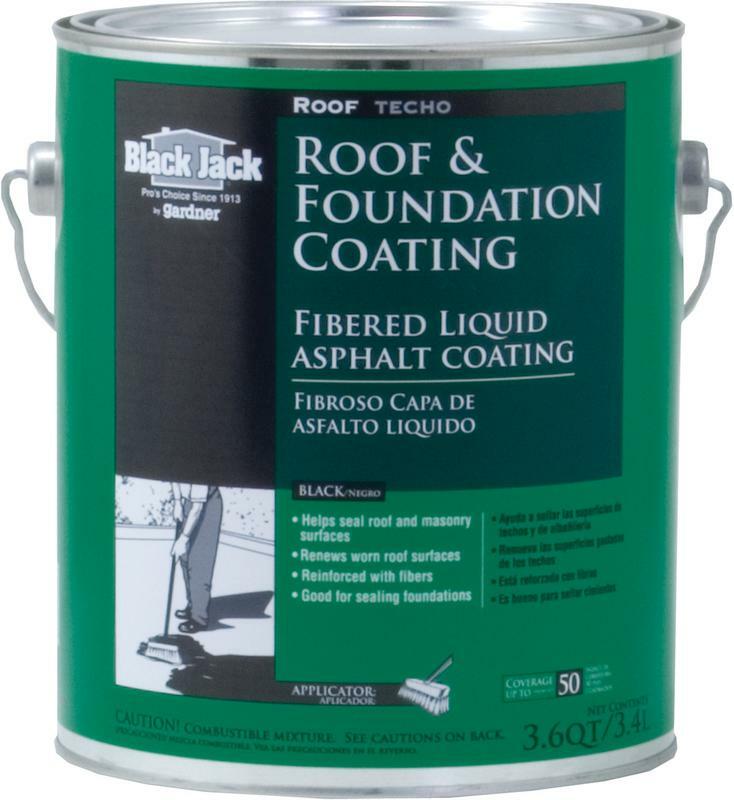 BLACK JACK FIBERED ROOF & FOUNDATION COATING Fibered liquid asphalt coating Non-asbestos fibers create thick film Resists water, cracking and blistering Renews worn roof surfaces Easy to apply, brushes out smoothly Non-combustible For coating below grade exterior walls 6125 1G FIBER ASPH BLACK JACK SIZE:3.6 Quart COVERAGE:Up to 50 Sq.Ft. 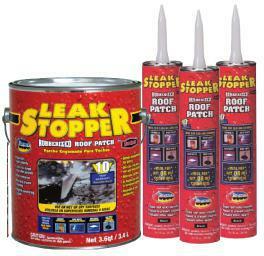 LEAKSTOPPER PATCH Use in wet or dry conditions Rubberized to prevent cracking Stops roof leaks immediately Penetrex oil seals through the crack Coverage: 12 sq.ft. per gallon 10 year warranty 0311-GA 1G LEAKSTOPPER PATCH SIZE:1 Gal. BLACK JACK ROLL ROOFING ADHESIVE Bonding adhesive for new construction or repairs Used with roll roofing Great adhesive & bonding strength Excellent for bonding selvedge edge roofing Heavy brush grade Fiber reinforced Adds extra waterproof protection 6150 1G COLD PROCESS CEMENT SIZE:3.6 Quart COVERAGE:Up to 45 Sq.Ft. 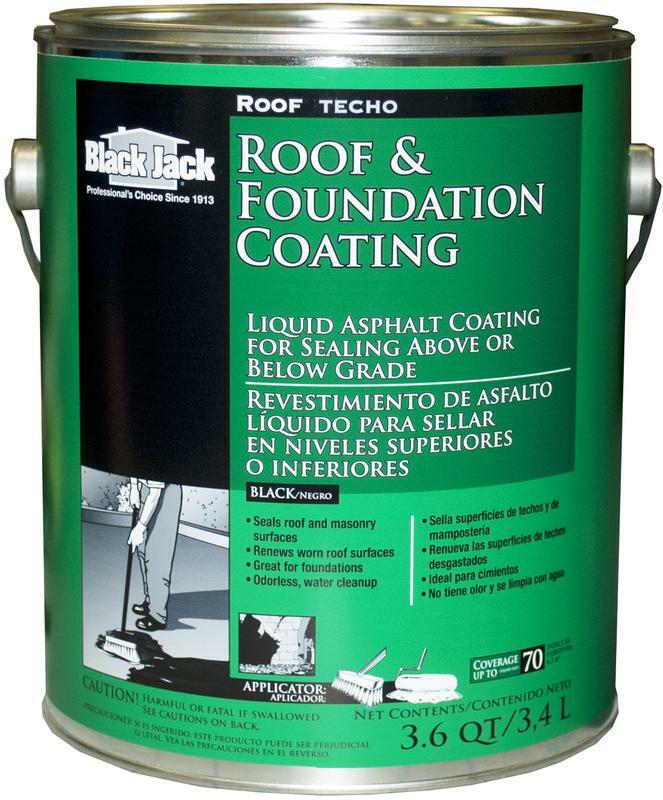 BLACK JACK(R) ROOF & FOUNDATION COATING Liquid asphalt coating for sealing - above or below grade Seals roof and masonry surfaces Renews worn roof surfaces Great for foundations Odorless, water cleanup Coverage: 100 sq.ft. 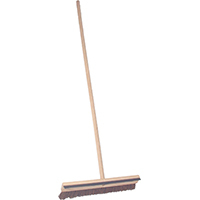 pre gallon 6190 1G ASPHALT EMUL COATING SIZE:3.6 Quart COVERAGE:Up to 70 Sq.Ft.